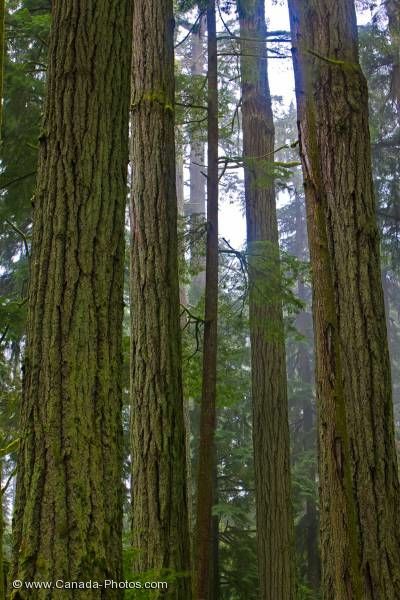 Moss covered trunks give an indication of the damp environment these Douglas-fir trees live in. Cathedral Grove offers visitors a beautiful walk through a rainforest on Vancouver Island, British Columbia. Tall, straight Douglas-fir trees, Pseudotsuga menziesii, in the Cathedral Grove Rainforest, MacMillan Provincial Park, Vancouver Island, British Columbia, Canada.